All Fold N’ Visit tours, river cruises, expedition cruises, and adventure trips. Find the best guided trips and expert planned vacation and holiday packages. 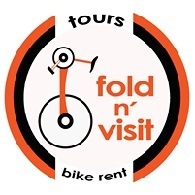 Average rating of 5.0 for all Fold N’ Visit trips. Vieira do Minho, we will cycle throughout the lands where the famous Rally of Portugal took place.